It’s important for Orthodox Christian clergy to dress in appropriate liturgical vestments while conducting important ceremonies and functions. 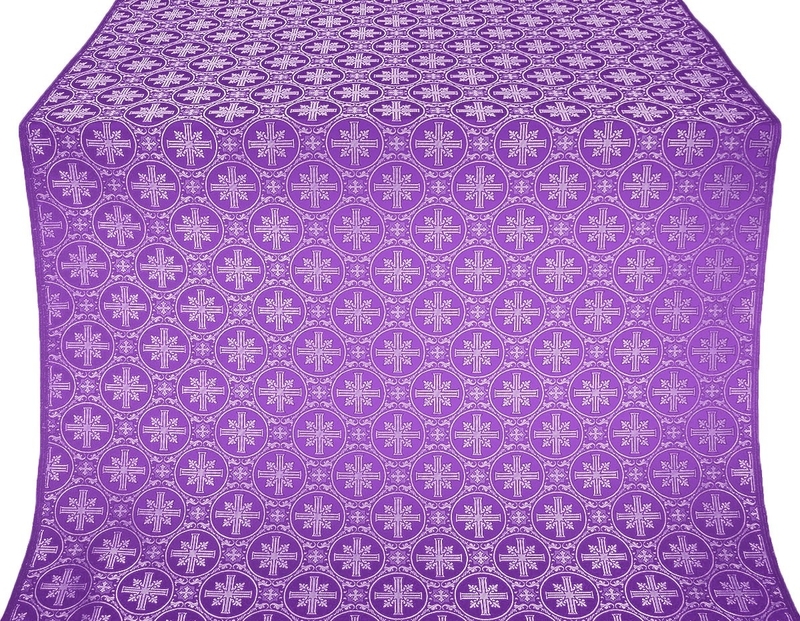 Rich and ornate, liturgical vestments are usually made from luxurious fabrics such as silks, brocades etc. 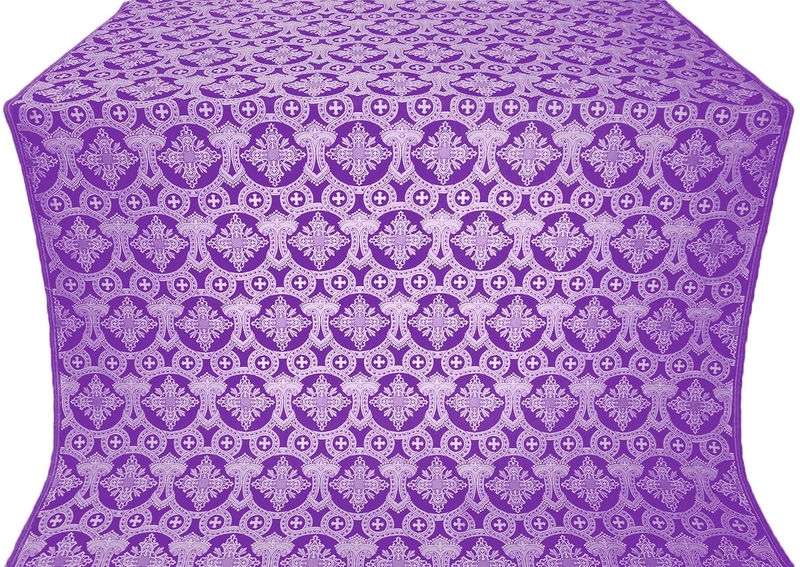 For customers looking for affordable yet excellent fabric options, Istok Church Supplies offers a wide selection of rayon brocades violet-silver that reflect sophistication and elegance. One of the many factors that help enhance the spiritual ambience in Orthodox Christian churches is the donning of resplendent liturgical vestments by the presiding clergy member. 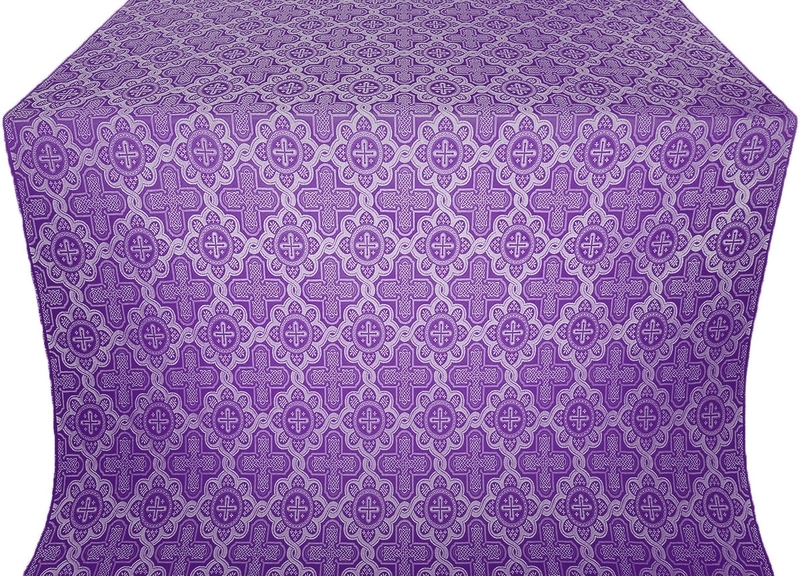 As suppliers of top quality liturgical fabrics including rayon brocades, Istok Church Supplies is proud to play a small part in preserving and propagating age old customs and traditions. 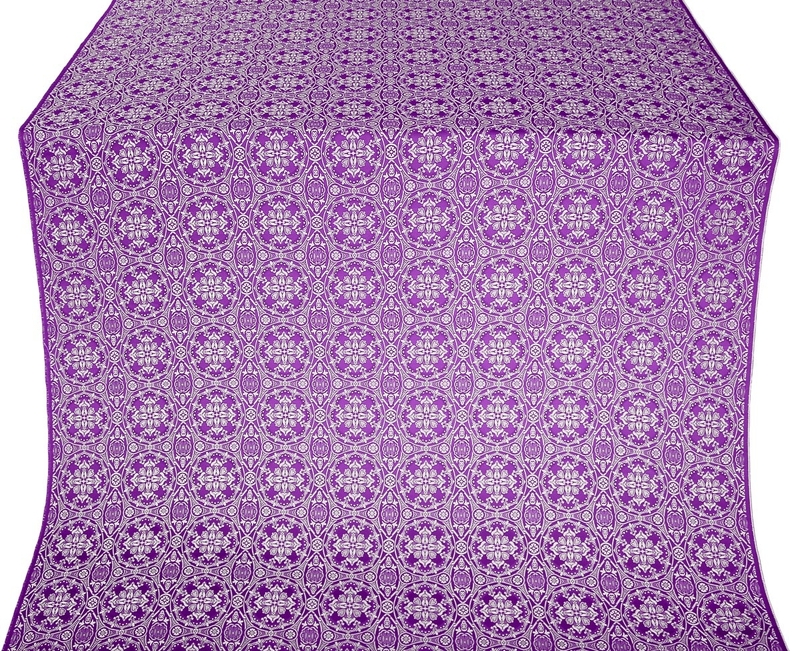 Violet is close to purple which is associated with royalty, magnificence and mystique. 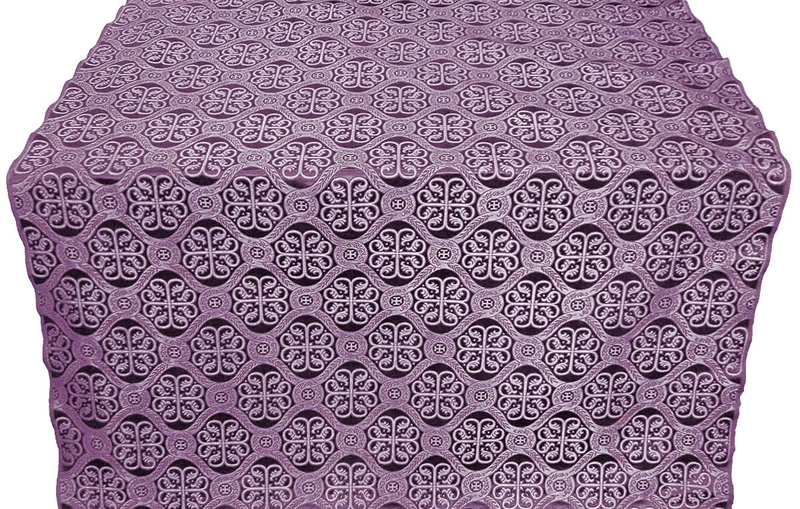 When violet is combined with silver in a fabric, the overall impression is one of elegance and calmness. 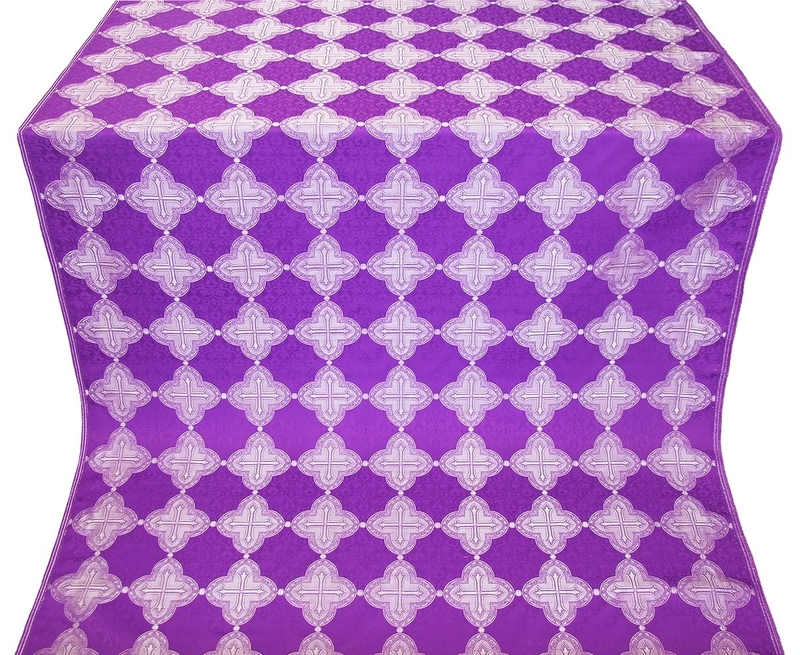 Our rayon brocades violet-silver are ideal for liturgical vestments to be worn during important occasions such as the Lenten period and feasts. 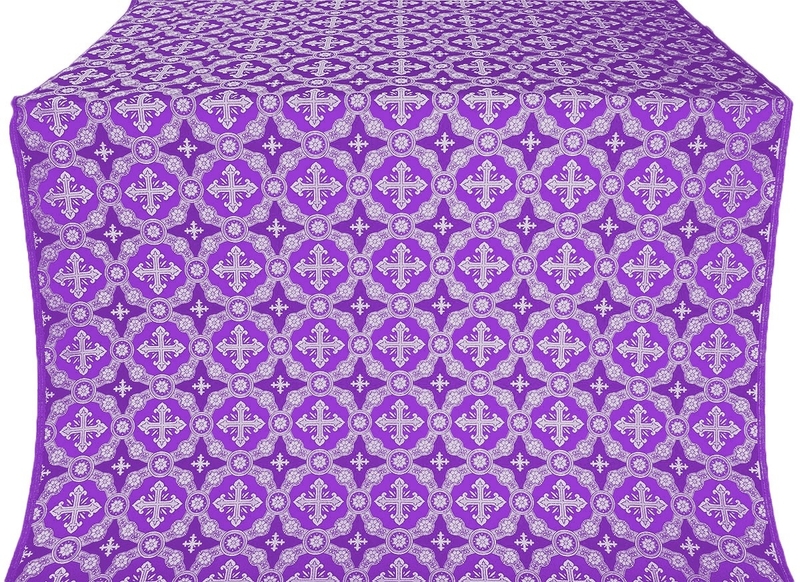 Our rayon brocades violet-silver feature different types of Christian themed patterns such as crosses and floral designs done in silver that look very attractive against the violet background. We offer hundreds of patterns with varying levels of intricacies and customers can choose according to their needs and budget. 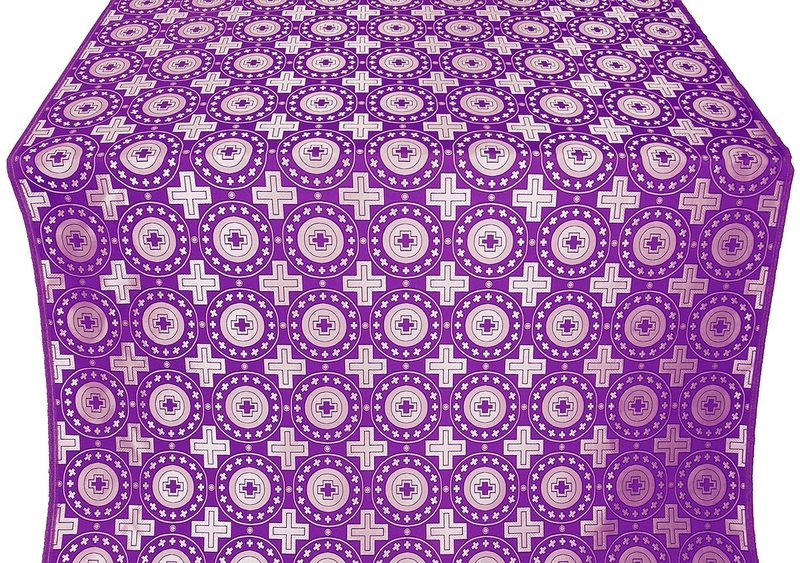 Each product listing comes with an image that can be enhanced and moved over and other details such as the weight of the fabric, its dimensions and so on. 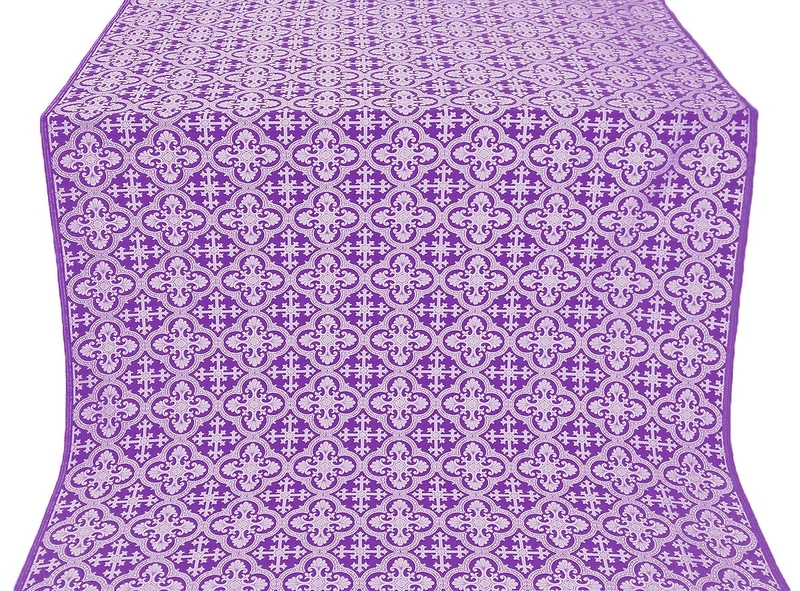 Our aim is to make online purchasing of liturgical fabrics a hassle free and well informed process that customers enjoy. 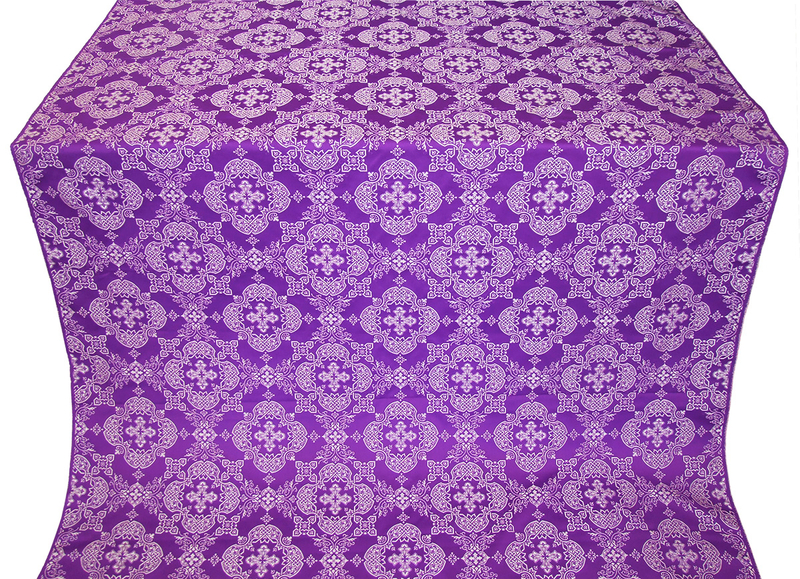 We sell rayon brocades by the meter and customers can purchase as many meters as they require by selecting the quantity. 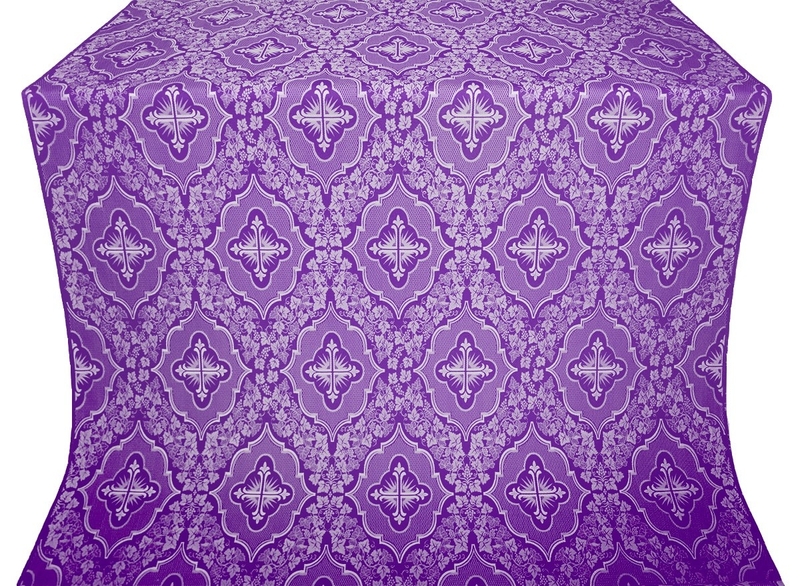 Customers can go through bestsellers or browse through our entire collection to find the perfect rayon brocade for their purpose. 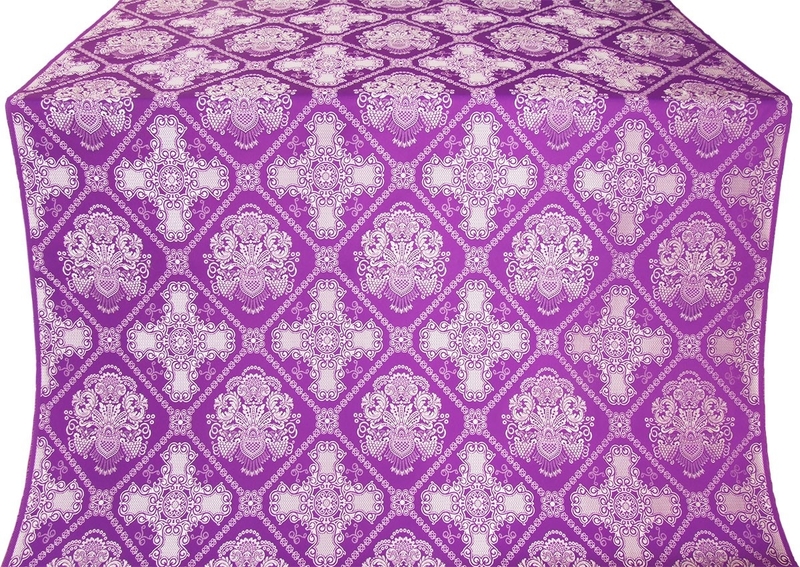 Add a dash of sophistication and elegance to church proceedings with rayon brocades violet-silver!